Camellias are among the most beautiful flower shrubs thanks to their magnificent blooming season, either in fall or in spring. 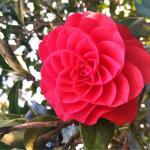 Find all our pages about camellias. It is recommended to plant camellias preferably in fall to ease root development and allow for better blooming the following year. Planting camellia in the spring from plants purchased in containers is perfectly possible but they will require regular watering at the beginning. Species that bloom in fall or winter run no risk in being planted until spring. For example, the magnificent Camellia sasanqua. 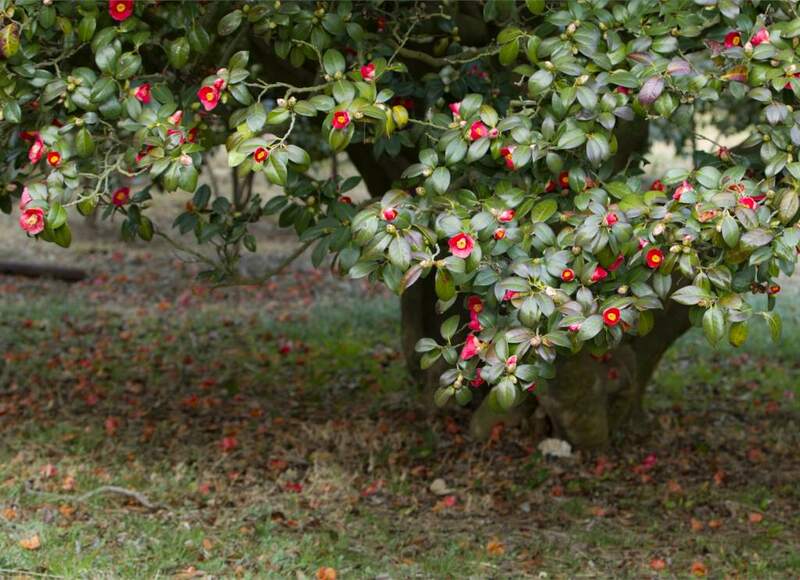 Camellias can do well in neutral soil but will always do best in acid soil. They like sun but must be protected from scorching. Part sun is often the best compromise. 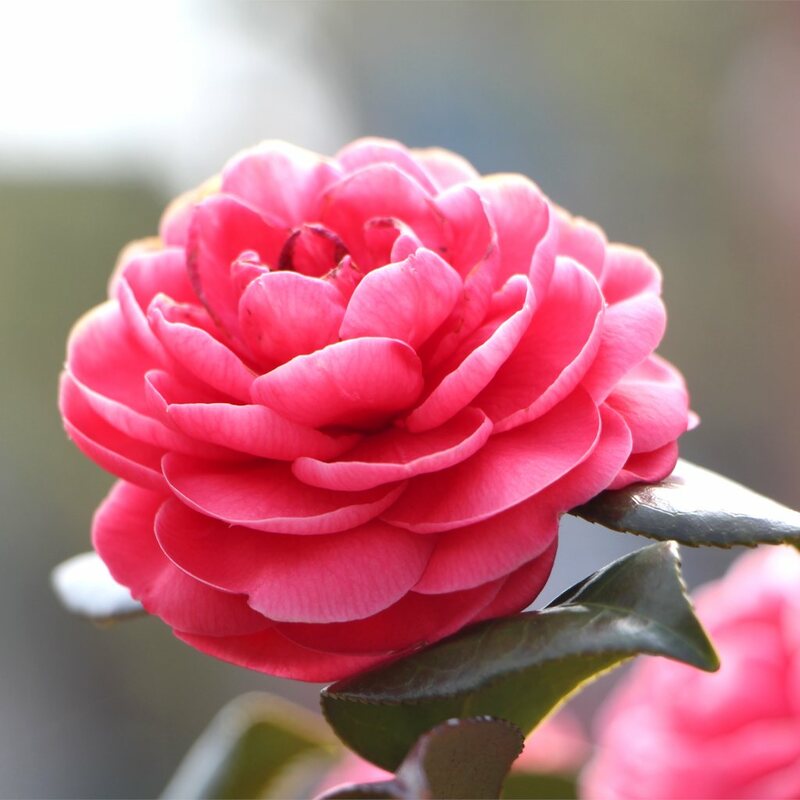 Camellias will need regular watering during the first 2 to 3 years, especially if temperatures are high, in order to permit root development in the ground. Potted camellia are a great way to decorate balconies and terraces, and also serve as a visual protection thanks to their evergreen leaves. This is perfectly possible and camellias adapt very well to growing in pots. It is a perfect solution for those who have a terrace or a large balcony and who love camellias. Even more so than when planted in the ground, potted camellias fear scorching sun and will appreciate light shade. Choose a good-sized pot with drainage holes. Place at the bottom of it a bed of gravel or clay beads to ensure drainage. It is important that water doesn’t stagnate near the roots, this could kill your camellia. Fill the pot with heath and horticultural or planting soil mix. Watering must be regular in case of high temperatures, but never drenching the soil. The goal is to keep the soil mix moist. Camellias can stay 2 or 3 years in the same pot, but it will have to be changed after that to give the plant the space it needs to grow. Re-potting takes place every 2 or 3 years. Prepare a pot that is slightly larger than the previous one. Fill in the new space with heath. Once settled in, the only care a camellia requires is watering in case of high temperatures and, optionally, pruning. 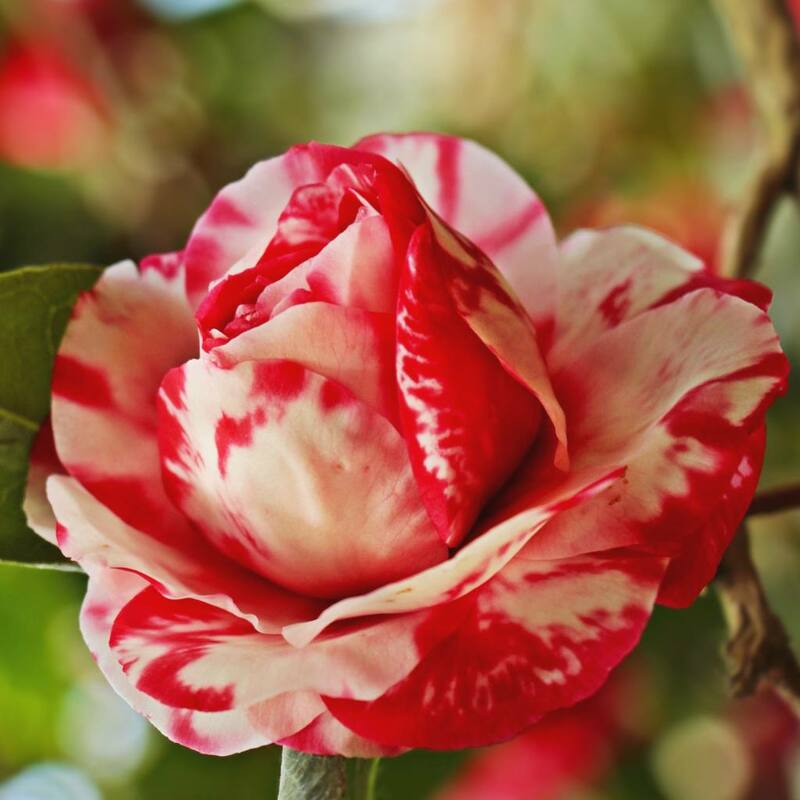 Camellias grow slowly, and do not necessarily require pruning. 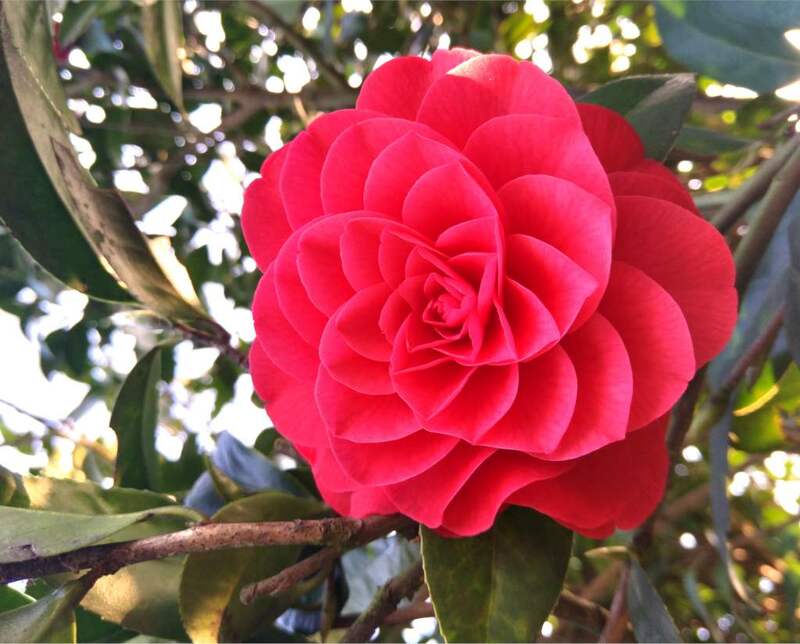 Nonetheless, if you wish to balance the shape or reduce the size of your camellia, wait for blooming to be over. Certain camellias are parts of a hedge, or are potted, and these must be pruned. 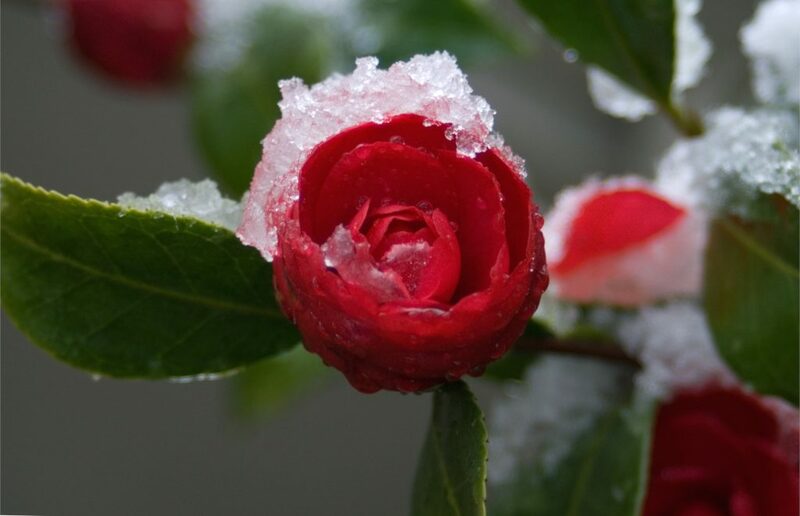 Take note that the flowering season of camellias can be in fall, winter, or spring depending on the variety. 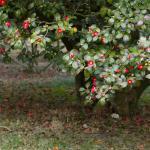 It is important to know which season applies to your camellia, so that you don’t cut the branches just before that. Camellias are heather plants, and like most heather plants they like cool, moist, and rather acid soils. Regular but light watering is recommended if the soil surface dries out. This generally happens from May to August. As for fertilizer, you can add heath plant fertilizer or camellia fertilizer in spring or fall. Also, remember that pine bark mulch applied all year round can retain moisture, keep the soil cool, and as it breaks down increases soil acidity for camellias. Camellias are rather sturdy and resist most diseases well. They may occasionally be attacked by scale insects or aphids. This is often due to poor soil, and/or an excess of calcium in the soil. This is called chlorosis. Regular watering and adding heath fertilizer is usually enough to counter this situation. This problem, called sooty mold, is often a secondary effect of other diseases or parasites such as scale insects. This fungus grows on honeydew that scale insects or aphids deposit on the leaves. Here is how to fight sooty mold on camellias. Here is how to fight aphids on camellias. Here is how to fight scale insects on camellias. This flower shrub is famous for its generous blooming that can flower all year round depending on the species. Originally found in Asia, its silhouette is defined as a bushy shrub, and its alternating leaves are leathery and oval-shaped. There are hundreds of species, but the most famous is the Japanese Camellia (Camellia Japonica). They are usually planted as shrubs clumped together because they decorate the garden with brightly colored spots. They are also found stand-alone or in the middle of a flowered hedge. This shrub is perfect for balconies and terraces, since they hold well in pots or garden boxes for their entire life cycle. Mulching keeps weeds from growing, protects against the cold, and enriches the soil with natural nutrients. Maritime pine bark is excellent for heather plants because it improves soil acidity. If you increase soil acidity around your camellia, flowering will increase in quantity and quality. Lastly, although camellias don’t like scorching sun, they also don’t like overly shaded venues.